We are all using online digital media to communicate nowadays. It has even become difficult to think of a time without such platforms as Facebook, YouTube, WordPress, not to mention all the rest. As a result of becoming so used to functioning and communicating online, more and more people are choosing to become entrepreneurs by starting an online business. And what better platform to do that on than WordPress? This huge platform had such an impact on the world that its name practically became synonymous with entrepreneurship. WordPress is free to use, you don’t require coding knowledge and, when it comes to design options, there is a huge amount of variety in the official WordPress theme directory. Various styles, templates, plugins and more are waiting to give anyone a way to express themselves through a WordPress website of their own. The final list you will be able to see after completing this process will contain the information about the selected website like the theme’s author and what his / her website is the WordPress theme’s version and also what plugins this website uses. Which WordPress theme is a website using? A plugin can be defined as a simple tool, with a number of distinct functions you can put in place to make your website works even more smoothly and efficiently than before. 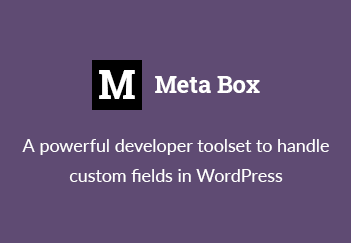 These tools can be found in the WordPress.org Plugin Directory and they come in two types: free and premium. Free WordPress plugins can be downloaded free of charge and simply installed to give your website many possible additional functions. Premium WordPress plugins make a huge difference due to the fact that they offer full-time support in case you run into compatibility or security issues. The online tool we used in our example earlier, Whoiswp.com, can also be used as a plugin detector, just in case you see a website that works really well, or has some cute function you would also like to implement to your own website to make it grow. The final result list will also contain the active plugins on the site you’re analyzing. You might be thinking that installing plugins will prove to be an unnecessary hassle, but on the long run, doing so will not only add functionality to your site but also shorten the time you spend on certain tasks by automating them. For example, the WP eCommerce plugin can help with your online business by making it super-easy to manage your online stores and keep track of your sales, taxes, payments, as well as offer white-glove customer support. It’s a free plugin advertised as The original WordPress eCommerce plugin, so if you are a fan of the WordPress way of doing things, this might be a useful tool to take into consideration. The greatest thing about plugins, in general, is that they work so smoothly with your WordPress theme and the enhancements they bring can be extremely valuable for your growing online platform. Choose the appropriate ones, and WordPress plugins will take your site to the next level, while also allowing you to enjoy managing and using its features. Another great example of how a plugin can significantly decrease your workload and take care of a few time-consuming tasks for you is what the Yoast SEO WordPress plugin can do. By using the snippet preview function found in this plugin, you can visualize your page in the search results and adjust it according to the context you are aiming for. It will also let you know when meta descriptions don’t contain your keywords, or if you have used subheadings on the page, and much more. It also claims to have the most advanced XML Sitemaps functionality in any WordPress plugin, and so far, we completely agree. WordPress loves to offer as much variety as possible so that their services match a large array of users’ styles and needs. There are two main kinds of themes available to WordPress users: free and premium themes. Some consider cheap or free products to be of inferior quality, but when it comes to free WordPress themes, this does not apply because all themes available in the official WordPress theme directory are tested and perfected to adhere to the best possible quality standards. In order for a theme to be included in the official WordPress theme directory, it has to go through a strict testing process that involves testing the standard compliant code, the security and privacy features and more, so as to determine if the tested theme is actually capable of performing at optimum efficiency. Even though a free theme is great for a blog or a personal hobby page, premium themes can really make a difference. Sometimes, with free WordPress themes, you might notice that the number of features they offer is not very impressive. Sure, you have a few options included, but if you really want diversity, going premium might be best. With premium WordPress themes, you get what you pay for, and that means more features, more customization options and also regular updates and support. It really depends on the kind of site you are trying to create and, obviously your budget, but finding the best theme for your website can be a very fast and easy process. You can make your website unique and expressive by using a free WordPress theme or a premium one. All that really matters is the clarity of your vision, your dedication to research and the ability to put all these elements together to create something really attractive for the users you are targeting. And, of course, having fun with the process. This article shows you how to move the custom taxonomy’s menu item to another location in the WordPress admin area for better organizing and structure.